Late on Friday, January 25, President Donald Trump signed a continuing resolution to reopen the government for three weeks. It was long overdue. While Congress debates immigration and border security policy until the temporary appropriation expires, they should also look at ways to prevent shutdowns from happening. They can start with fixing the budget process so that the country, federal employees and others are not held hostage to partisan policy disputes. The most frequent reason for the government to shut down – even partially – is because lawmakers ran out of time to enact spending legislation. There are often important political reasons for this, but Congress can minimize the prospect of shutdowns by prioritizing procedural reforms that gives lawmakers more time to finish their work. 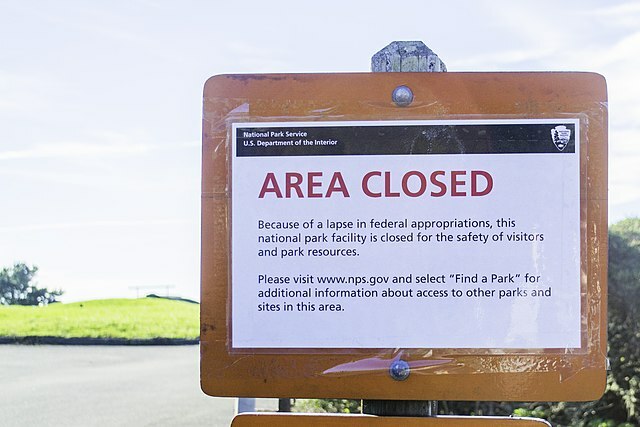 There have been numerous funding lapses since the Congressional Budget Act of 1974 took effect, including the prolonged government shutdowns of 1995-1996, 2013, and now 2018-2019. Three particular reforms—automatic continuing resolutions, biennial budgeting, and changing the fiscal year—provide the best hope for fixing the budget process. The deadlines in the current budget process are ripe for partisan exploitation. One party can use them to exact concessions from the other and hold up appropriations for unrelated budget items. An easy way to end the incentive for a budget shutdown would be to pass a law requiring an automatic continuing resolution if appropriation bills are not passed by the start of the fiscal year. Since one of the main incentives for delaying the passage of appropriations is the leverage a government shutdown creates, an automatic continuing resolution eliminates the possibility of a shutdown. Members of Congress are introducing legislation along these lines. In the midst of the current shutdown, Senator Rob Portman of Ohio, joined by eight of his colleagues, introduced the End Government Shutdowns Act (S. 104). Senator Portman and a House colleague, Representative Rodney Davis of Illinois, introduced this bill in the 115th Congress as well (H.R. 2162 and S. 918). This legislation provides an automatic continuing resolution for 120 days at the previous year’s levels if an appropriation for some activity or office has not be adopted by October 1. After that, the funding is cut by one percent every 120 days. It would prevent a shutdown and the spending reduction would provide a strong incentive to finish the normal appropriations bills, which could fund the government at adequate levels. Out of the reforms suggested here is an automatic continuing resolution that would end the practice of using government shutdowns as leverage for policy debates. It is a powerful option since both parties have funding priorities they want to protect. Republicans might want increases in defense spending while Democrats may be willing to deal in exchange for hikes in healthcare spending. Both sides in this example have powerful reasons to complete the budget process on time. The whole idea is to change from the current state of affairs that creates an incentive for a budget shutdown to one that creates an incentive to complete the budget process. Automatic continuing resolutions are a stopgap and cannot replace a functional budget process. Biennial budgeting should be the centerpiece of a reformed budget process. Biennial budgeting switches all or part of the congressional budget process to a two-year cycle, rather than the current annual one. One variation of biennial budgeting would require the entire process every other year. Another would have the concurrent resolution every other year, but lawmakers would wrangle through appropriations bills annually. Decreasing the frequency of one or more steps in the budget process can eliminate the opportunities for time-consuming legislative conflicts.. Lawmakers can then use they time they currently spend on appropriations for other priorities. This reform has been discussed for decades now, and it is a fix that plenty of people in both parties have supported. Biennial budgeting should be a major and relatively uncontroversial part of any reform package. When Congress switches to biennial budgeting, it should also change the fiscal year to align with the calendar year. Simply by giving Congress more time to complete its work minimizes the threat of a shutdown. Currently, Congress has about eight months to complete the budget process from the beginning of February when the President traditionally submits his budget proposal to the end of the fiscal year on September 30. Making January 1 the start of the fiscal year would buy Congress another 3 months, lengthening the appropriations season to 11 months. Making this change also takes the end of budget season away from the end of campaign season, which heightens the chances for political shenanigans around such a critical function of Congress. The arguments for extending the fiscal year based on actual experience over the last two decades is close to undeniable: Congress so often does not finish its appropriations until December so changing the fiscal year would bring the budget process into conformity with how lawmakers actually work today. There can be no doubt that the congressional budget process is in shambles. Here is a rough sketch of how the process is supposed to work. The Constitution requires that no money can be spent by the Federal Government that has not been appropriated by Congress. The Budget Act of 1974, states that the Federal Government should enact the 12 stand-alone appropriations bills covering departments and agencies before October 1 of each year. For that to happen, the House and Senate must pass each bill and have it signed by the President by a set deadline – and all before September 30. If Congress fails to pass any of the appropriation bills, the unfunded agencies must go into shutdown mode when they may not operate. This is why we just went through a partial government shutdown. Some appropriations bills such as those covering the Legislative Branch and the military were done on time, but others, like those controlling funding for homeland security and the Treasury Department, did not. Following this procedure in real life is incredibly difficult. There have only been a handful of years in which the 12 appropriation bills have been enacted separately and on time for the beginning of the fiscal year. Unfortunately, the breakdowns in the process tend to stem from partisan abuse. Former Senate Democratic Leader Harry Reid typically would hold the defense appropriations bill hostage so he could force equal increases in domestic spending programs in a final omnibus appropriation bill. The problem with this is that it makes a mockery of the regular process and incentivizes leaders to deliberately not pass appropriation bills for leverage in midnight negotiations. Ironically, just a few months ago, Members of Congress and congressional observers were commenting on how Congress had completed its budget work partially on time. Yet the fact that the country has had the most disruptive shutdown after initially having had one of the most “successful” appropriations seasons further underscores just how fragile the congressional budget process is. The fact that the budget has been completed successfully four times since 1974 is proof that it can work, but it is incredibly rare. This year’s 35-day government shutdown was much worse than previous ones. While some departments continued to operate, others were forced to stop, leaving 800,000 Federal workers from without paychecks. Despite the lack of funding, many of those employees had to keep working because their jobs keep people and property safe and secure. There are always measures passed to get Federal employees retroactive pay after the government reopens, but the lack of a regular income is a significant burden for many. Contractors have not received back pay in the past. In addition to the hardship these workers endure, there were side effects in other parts of the economy, and not just to people, business and local governments that depend on Federal dollars. The President’s own Council of Economic Advisors warned that the economy could have entered a recession if the shutdown continued. This is no way to run a government—or not run it, as the case is during a shutdown. Reforming the budget process is not simply a matter of procedural changes. The written rules are important, but the way Congress follows these rules should also be considered part of the budget process. The government could have brilliant rules, but they would have no effect if Members didn’t follow them. Yet the experience over the last few years show that the procedures that incentivize shutdowns are usually championed by party extremes, much to the frustration of the political center of Congress. The ability of the extremes in either party to disrupt the Congress disproportionately to their numbers can be curtailed by these reforms. At the beginning of the 116th Congress, the House voted overwhelmingly to create a Select Committee on the Modernization of Congress. The goal of this Committee is to examine reforms and make recommendations that will make Congress effective. There is much that needs reforming in Congress including the balance of power between committees and party leadership, modernizing digital systems and rules, and dozens of other items. But all of those reforms make little sense if Congress can’t keep the government open running. The question is, will our leaders (and the public) learn any important lessons from it? Shutdowns weaken the American people’s confidence in government and undermines America’s image in the world. Members of Congress can advocate for big tax increases or they can advocate for giant budget cuts – but no Member, regardless of ideology, can pass budget policy unless the system works. It is time to reform what has become a dysfunctional process and create a system by which Members of Congress can implement the priorities of their constituents in an orderly and timely way. If this shutdown leads to some major budget reforms, then maybe there is some good that will come of it. Congress must seriously reform its budget process instead of going from showdown to catastrophe and back again.